First time visitor? Then START HERE and learn more about Synergy! February is the perfect time of year to take a few action steps and boost your immune system. A robust immune system will help you stay healthy and active, enjoying the things you love with the people you love. And don’t forget to attend our upcoming health workshop where we will give you a custom-tailored plan to boost your immunity in 21 days! 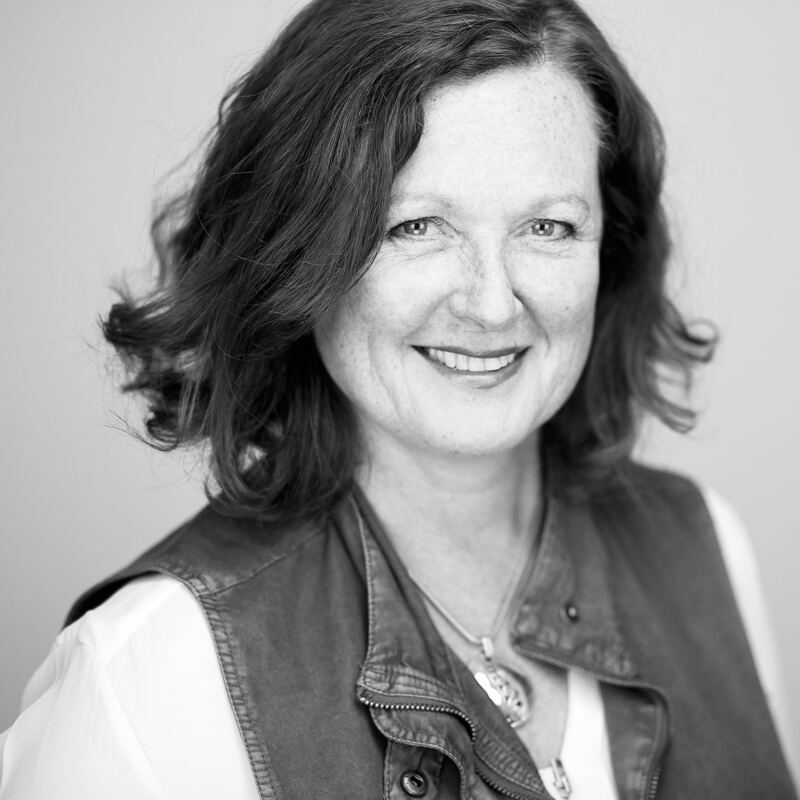 After seeking chiropractic help in her twenty’s for the usual (and expected –or so I thought) lower back issues that go with horseback riding, she experienced a new level of health. Not only has she made chiropractic a regular part of her life but she has made a commitment to changing her lifestyle and coaches others how to do the same. She is an avid outdoors person. You can find her walking her beagle, biking, painting and drinking great coffee. Her true passion is riding horses and has been a competitive rider/jumper for years. The simplest way to boost your immunity? Exercise! Fortunately, you don’t need to be a marathon runner to take advantage of the benefits of exercise. By taking a daily walk or following a simple exercise routine, you can feel better, more energized, and strengthen your immune system. If you work at a desk, it can be a little more challenging to stay active during the day. Use a standing desk or take a brisk walk during your lunch break to stay healthier and feel more energized throughout the day. Take the stairs instead of the elevator. Park further from the door when you go shopping. 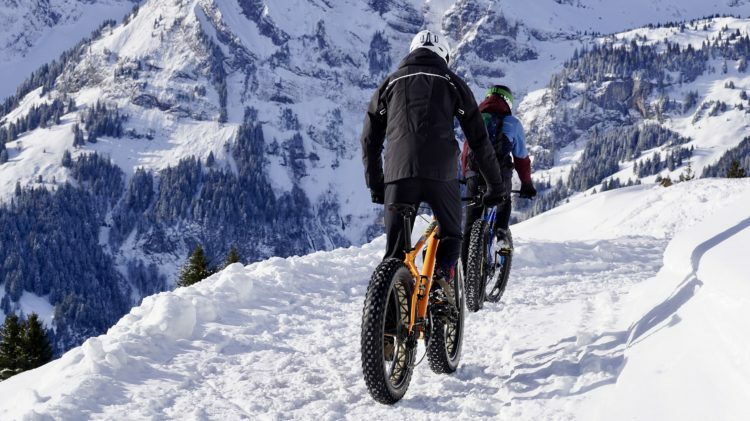 All of these help you to increase your activity levels. 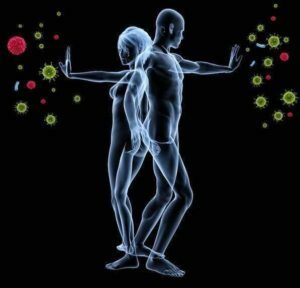 Exercise and movement can increase our immunity in many different ways. First, when we exercise, blood pumps through our body at a rapid rate. This helps white blood cells be absorbed into our body tissues more rapidly. White blood cells are an essential part of our immune system that fights disease. Also, exercising can reduce our stress hormones and stimulate the release of endorphins- helping you feel great! Finally, when we exercise and break a sweat, our body temperature rises. 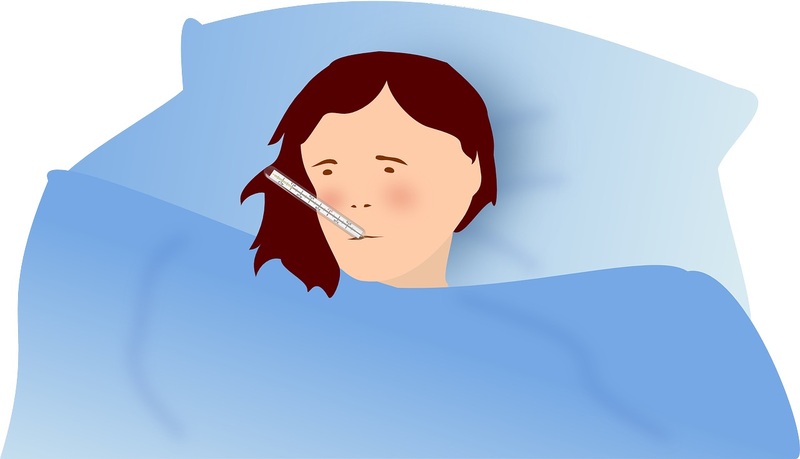 The increase in our body temperature can help fight infection and prevent bacteria from growing, similar to how a fever works. It’s stressful to be sick. So we encourage you to be proactive. By simply taking a walk during your lunch break, you can start preventing illness while strengthening your immune system. What’s even more exciting? A recent health survey found over 60% of the participants reported fewer colds since they began their exercise routine. Now that’s what I call a smart decision for your health. Dr. Craig Hazel’s mission is to help families THRIVE. After graduating from Queen’s University with a Bachelor of Science and a Bachelor of Physical and Health Education, he went on to earn a Doctor of Chiropractic degree and a Bachelor of Science in Anatomy from Parker College of Chiropractic in Dallas Texas. 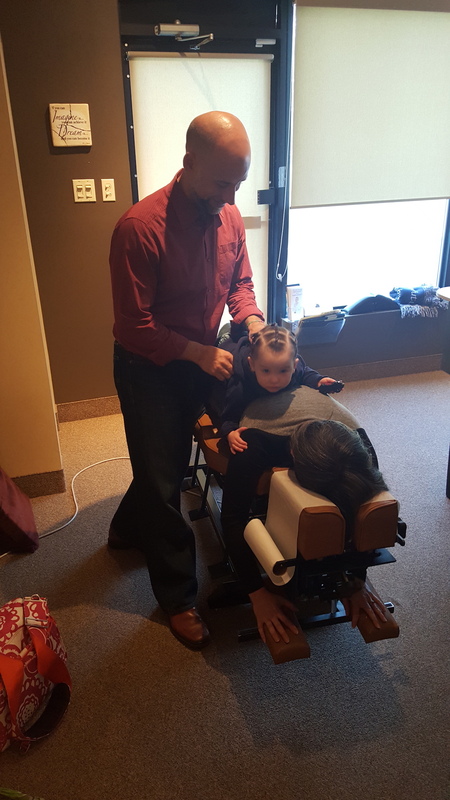 He is passionate about seeing children and families in his private practice at Synergy Chiropractic in Kanata Ontario. 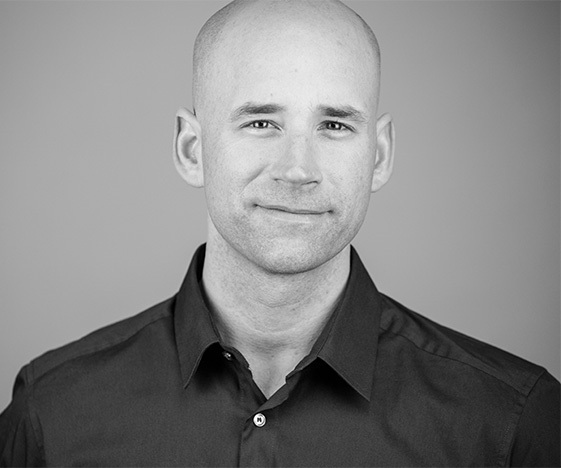 A sought after speaker, he has been featured regularly on TSN Team 1200, CTV and Rogers TV. He is also the Chairman of the Alliance for Chiropractic of Ontario. Just this week our office saw two beautiful babies and their families get their lives back. The first one had colic so bad that she cried relentlessly day and night. Her dad would come home to both his wife and daughter balling and exhausted. Not the kind of warm welcome home he had hoped for. The second child had been having severe constipation problems and was miserable and always fighting colds. Both were seen by specialists and told “No one can help”. Well, I guess I’ m Dr “No One”. Even after her first visit the first child napped for four hours and slept through the night. This child will avoid the “Perfect Storm”. In my 13 years as a practicing chiropractor and having checked and adjusted thousands of kids, I’ve found that over 90% of the kids have had injury or damage to the cranium or spinal column from in-utero constraint or a traumatic birth injury that was never addressed and corrected. Research from Germany and many more have also shown that the first subluxation occurs either during the birth process or even before. This means these kids are starting off with compromised neurological and immune systems. 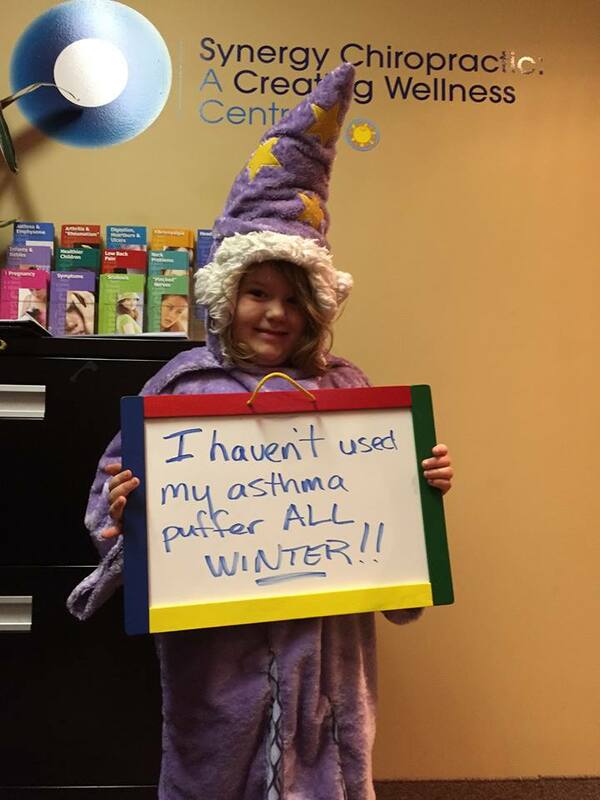 Chiropractic is not a treatment for asthma but many patients report having less symptoms after starting care. What is it and what causes the Perfect Storm? The Perfect Storm is the collective result of numerous physical, chemical and mental/emotional insults to the integrity of the nervous system. The accumulation of stress causes the body to be forced into a fight or flight state. In this state, the body operates in survival mode. In survival mode, some of the hallmark physiological responses are: higher inflammation levels, hyper-vigilance, decreased immune function, and sleep disturbances. Subluxation, simply put, is when any of the bones in the vertebral column shift or gets stuck in an improper position and alignment (structure). This leads to abnormal motion and movement…these two factors then lead to a change in the nerve signals and into the central nerve system (for those that are nerdy like me: spinal cord-brainstem-cerebellum-thalamus-higher brain centers and cortex). This loss of positioning and movement leads to a loss of regular proper healthy signals, and increases stress in the nerve system forcing the adaptive fight or flight state. This subluxation is often caused by the positioning required for even normal, natural, vaginal deliveries… and is greatly magnified in its effect from breech positioning, long labor, suction/vacuum extraction, forceps, and cesarean deliveries. All of these situations put an excessive amount of physical force on the head, neck, and spine and lead to subluxation (by altering structure and movement/kinesiology)… that in turn causes neurological sequelae.Both of these two kids were born via forceps. Many kids have troubles with their ears in the early years. This subluxation complex also causes imbalances in the musculature of the upper cervical spine and surrounding tissues, greatly affecting the function and movement of the eustachian tubes, sinuses, adenoids, etc. Not only does it alter neurological function, it alters the flow of lymph, mucus, and other fluids in and “out of” the head and ENT-type structures. This fluid is then allowed to “sit” for too long in these areas, thus harboring opportunistic ‘ bugs’ that can then take hold and replicate… then in turn causing infection, inflammation, and irritation. It is not that the eustachian tubes are horizontal at that age… that does not “help” the situation, but it is not the primary cause of ear infections at all. These children are then continually challenged when the antibiotic prescribed for the ear infection, eliminates and lessens the beneficial bacteria of the gut and colon, thus causing poor regulation of the immune system and leaving them susceptible to recurrent infection. Not only does this affect their immune system, but also their digestive system as well. Now they cannot process and eliminate food stuffs and toxins near as well, and this leads to a further “spilling over” effect of these into the bloodstream… which causes further immune reaction and inflammation and can begin the autoimmune cascade that may be linked to things such as allergies, asthma, eczema, and even ADHD later in life. What is more, the upper cervical subluxation greatly effects the neurological control of the central nervous system, especially brainstem and other centers that are important for neurological “info relay” and autonomic control of tissues, organs, and glands. The subluxation, along with other factors, leaves their autonomic system in a highly sustained stressed sympathetic state (fight/flight) which as you know is associated with lowered immunity, hyperactivity, anxiety, social challenges, decreased GI function (reflux, dyspepsia, constipation), and more.In the case of these two kids, their upper cervical areas were subluxated causing both of them to be unable to calm their nerve systems down. The result? They can’ t poop and can’t calm. Pediatric chiropractors such as myself are also highly trained in nutrition and supplementation. I won’ t go into the details here, but another major contributor to things such as otitis media, ADD/ADHD, colic, allergies, eczema, and asthma is a diet high in grains and dairy. The proteins and sugars in these foods are very difficult to digest and again lead to a strained and inflamed GI system, which spills into the bloodstream and causes and autoimmune reaction. Cleaning up a kids diet and getting him on the right supplements goes a long way to treating, and most importantly, preventing these issues. Left un-aided, these kids end up on the merry-go-round and eventually develop a lifetime of health challenges. While medications may treat the symptoms, the child is left subluxated only to continue have challenges that remained masked. 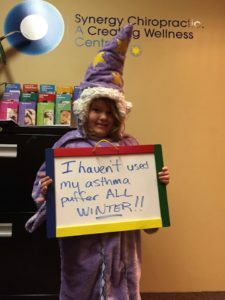 The Perfect Storm is the result – the build up to significant ‘ unexplained’ health issues.Through safe, gentle, low-force scientific and specific chiropractic adjustments, we were able to help these little ones just BE. For that, I am honored. I rarely get the flu. This morning however, Facebook reminded me that 7 years ago I had to miss receiving my Master’s diploma thanks to a flu. A flu so bad that I passed out in my hallway and fell against my bedroom door handle, leaving a gash on my forehead. I went to the doctor to see what they could do, only to fall asleep while waiting. Depleted of all possible energy, I couldn’t eat or drink and all I did was sleep for days. The worst part was my parents also had it so as much as I knew they wouldn’t make it to my graduation, I held out hope for myself until right before I had to leave, then I conceded defeat. came down with an intense cold that lingered for a week, then just as that was finishing up, I got hit with a nasty flu for another week! Two weeks of ugh. I know what you’re thinking. “Um don’t you tell people how not to get sick?” We do. But we’re also human and we make mistakes. My mistake was allowing my immune system to weaken. How did I do that? I let stress get the better of me. Mental and emotional stress can have a direct effect on the physical body. As soon as I allowed myself to succumb to the stress I was experiencing, my immune system weakened and altered my state from defensive to defenseless. To make matters worse, instead of doing what I could to nip it in the bud, I gave in to my lack of willpower and it lingered for longer than it should have. So what did I do wrong and how can you avoid getting the flu? 4 Strategies To Get Immediate Results! Is the ‘keto’ diet right for you? Can Your Neck Cause Arm Pain? Enter your details below and one of our team members will get back to you within 48hrs.